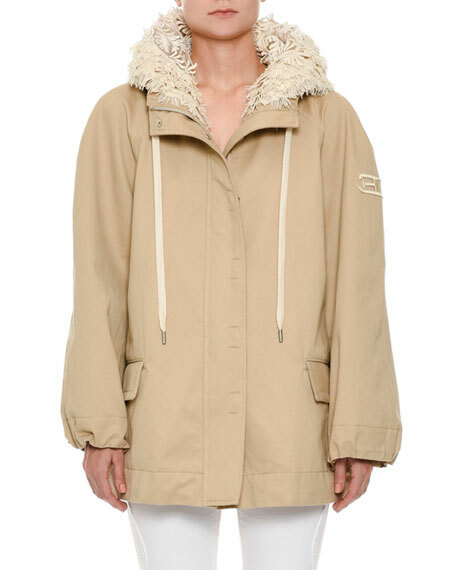 Ermanno Scervino taffeta parka jacket. 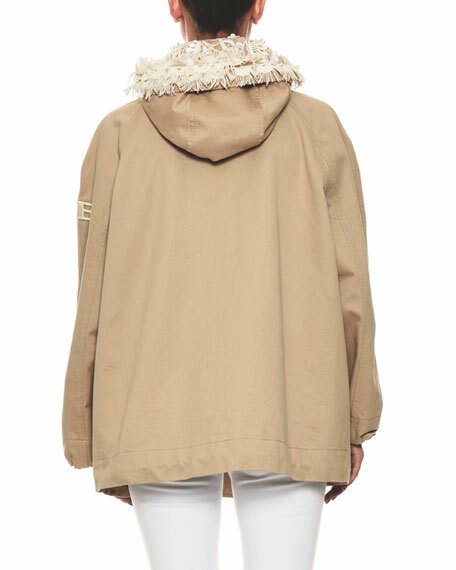 Hooded, drawstring neckline with floral-embroidery lining. Zip-front with snap cover placket. Long sleeve with logo embroidery.